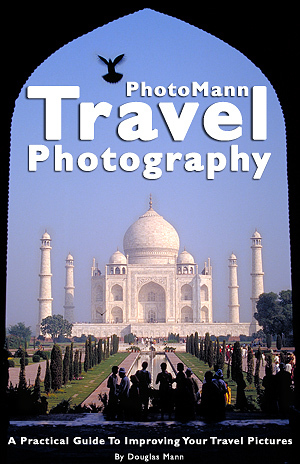 ﻿ PhotoMann Travel Photography - The Book! Travel the world with PhotoMann to improve your travel photography. Learn to create memorable photographs instead of just taking snapshots. Realize that you can take outstanding pictures with most cameras. Cameras don’t take pictures, people do. A camera is simply the tool used to craft an image. PhotoMann will cover the elements of photography composition and how to apply them by example. The factors in each composition technique are reinforced through inspiring images for each travel subject. PhotoMann discusses what he had in mind when composing each photograph. Destination subjects include landmarks, people, markets, architecture, festivals, landscapes, flora, sunrises & sunsets, fireworks, and much more. Learn how PhotoMann plans his adventures and creates the stunning images seen on PhotoMann.com. PhotoMann will also discuss his philosophy on photography, equipment, travel and planning for photographing a destination. This perspective comes from traveling to and photographing 56 countries over the last 20+ years. This book is now a work-in-progress. It will be published in early 2015. Are you interested in improving your travel photography? Add your name to the list for notification when the book is available. Contact PhotoMann for more information!